Four classic characters from the world’s most popular children’s book author – Roald Dahl – as illustrated by Sir Quentin Blake, joined the Museums & Galleries collection in 2018: The BFG, Matilda, Jame and the Giant Peach and Charlie and the Chocolate Factory. All are available in ‘The Illustrators’ greetings card range. 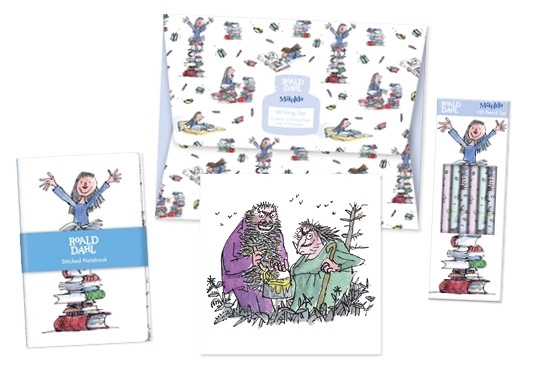 To see the full range of our branded products please click on the following link, Roald Dahl Products.